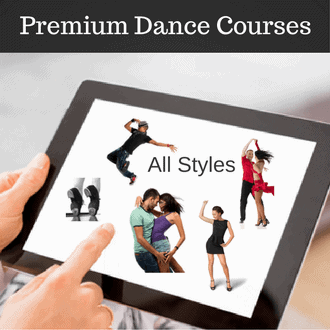 Learn how to dance the Mambo basic steps with the videos below. Mambo is a very similar dance to Salsa with the major difference is that you dance on count “2” instead of “1”. The way you count the Mambo us 2,3,4,1. You dance only on counts 2,3,4 and you hold/pause on the 4. That is why you can also count Q,Q,S-Q,Q,S. No let’s begin. Men go forward with left, then replace on the right and close left foot to right foot. Ladies you go back on the right, replace weight on the left and then close right foot to left. 1. Use small steps. The music can be very fast and if you do big steps you will most likely get off timing and not be able to keep up. Keep the steps under the body and keep everything compact. 2. Pause on count 1. You need to really listen to the music and dance on the right beats. That means that you must not dance on count 1…be sure to do a hip action or some flare movement on 1 but not an actual step. 3. Let your hip action be a reaction to your weight transfer. So when you are changing weight from foot to foot, let you knees bend and straighten – which will then produce a natural hip action.